Hi. I'm New to this site. It looks good. Good to see you guys supporting others in need. 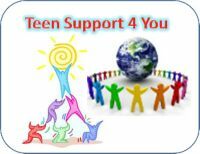 I am Lex- An administrator here on TeenSupport4You. If you need anything please dont hesitate to PM Me or Email me. I am also here for you to talk to, so feel free to talk to me!